Hotel Aman Palace is a modern property with bright and charming rooms, located in Rajouri Garden, Delhi. It is at a walking distance from Rajouri Garden bus stop and metro station. 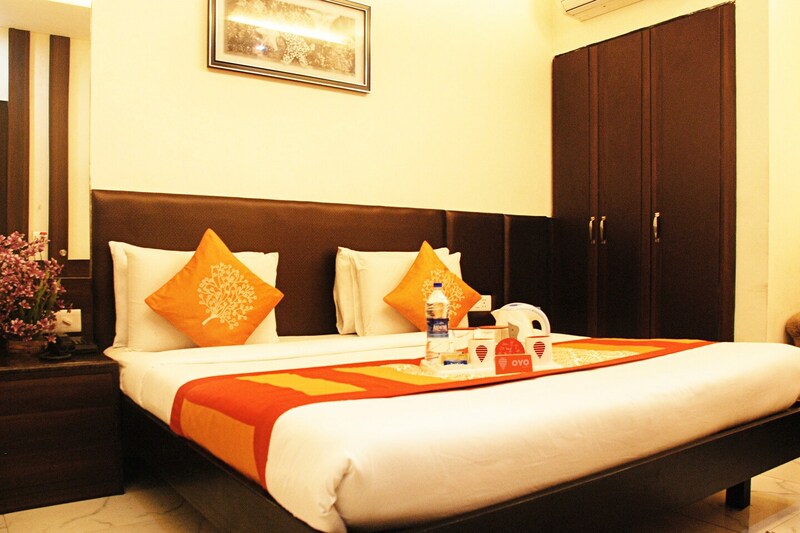 Important tourist locations nearby are Kali Mata Mandir Dham, Tagore Garden and Appu Town. Hotel Aman Palace is wheelchair accessible and has an elevator too. The rooms are cosy, feature modern furniture and colourful bed linen, and are softly lit. Every room here is equipped with free Wi-Fi, TV, AC, room heater, mini fridge, and seating area. The bathrooms have geysers. Parking facility, power backup and card payment facility are available. Some of the eating joints near this hotel are New Kadimi, Sufiaana, Terrace Garden Lounge and Restobar and The Foundry.